Search operations are in full swing for the missing crew members of the Indian vessel Prathibha Cauvery, which ran aground following strong winds due to Cyclone Nilam, which made landfall on the southeast coast on Wednesday evening. 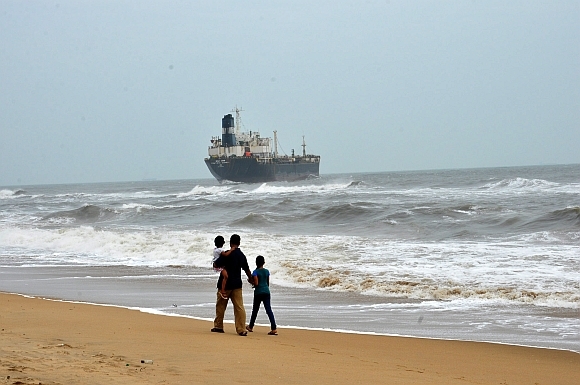 The Chennai port on the southeast coast had stopped cargo operations after a cyclone warning. The port handles about 10 percent of traffic passing through India's major ports, covering a variety of cargoes including crude oil, petroleum products and agricultural commodities. Cargo operations were suspended and the suspension would continue. 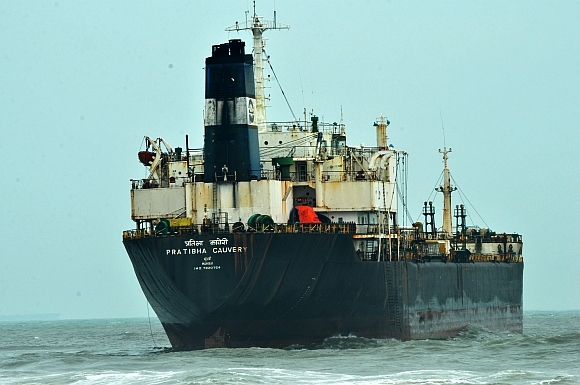 The ship, which drifted following heavy winds, is currently at Besant Nagar beach in South Chennai and is carrying two tonnes of light diesel oil and 355 tonnes of furnace oil. Helicopters were seen hovering over the ship for rescuing the stranded crew members and out of the 37 members, 32 are rescued but five are still missing. Two crew members are admitted in hospital and one sailor was pronounced dead. Relief and rescue teams have been deployed across the country's southern states to combat the destruction expected from the storm. Heavy rains all through the night due to the depression had thrown life out of gear in the coastal districts of Tamil Nadu and Andhra Pradesh. Continuous rainfall has already caused flooding in several parts of the district as people brace for the storm that is likely to cause extensive damage by destroying standing crops and temporary housing settlements. Administrative officials have identified the vulnerable areas that are likely to be worst affected from the catastrophe and have already deployed rescue teams. Onlookers, who had gathered on the beach to witness the rescue operations, feared that there might be a possibility of oil leakage from the ship, which would be hazardous for the marine life. "Since it is a rare occasion, the major hazard is to the marine environment, where there is a possibility of some oil leakage or something like that. I think the Indian government should be taking a very fast action, since it is a major threat to the environment and the society and the people living in the coastal area," said Aditya, a local. Rows of fishing trawlers were docked near the shores as fishermen abandoned their boats along with the nets on the beach and flocked to safer locales after receiving warning from the meteorological department not to venture out to the seas. Strong winds measuring above 50 km/hour could be seen tilting trees of palm and coconut planted along side the coast and residential areas. The north Indian Ocean usually sees about five cyclones a year, about 5-6 per cent of all cyclones, with October-November and May-June seeing the most severe ones. 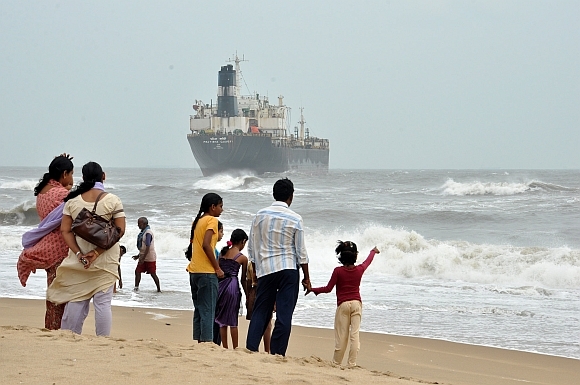 Chennai handled just over 27 million tonnes of traffic in April-September, according to the Shipping ministry. Meanwhile, 'Sandy', one of the biggest storms ever to hit the United States, roared ashore with fierce winds and heavy rain on Monday near the gambling resort of Atlantic City, forcing evacuations, shutting down transportation and interrupting the presidential campaign.